Description - Softer and more comfortable under foot, Shaw Resort vinyl tiles are the perfect alternative to standard ceramic tile. Easy to install and maintain, these luxury vinyl tiles feature several neutral colors and patterns that will accent any rooms décor. Constructed with virgin vinyl, these tiles have been made tough and are perfect for residential applications. 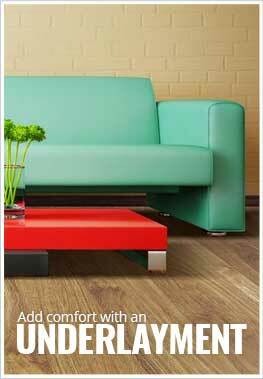 Backed by a 25 year warranty, these moisture resistant tiles will also help to add warmth to any room installed. Size – Luxury Vinyl Tiles are 16" x 16". Weight – Each vinyl tile weighs ~2.19 lbs. Recommended Uses – Shaw Resort luxury vinyl tiles provide a warm comfortable floor that can be installed in residential installations. These vinyl tiles can be found in bathrooms, kitchens, dining rooms, basements, family rooms, foyers, office building, indoor patios, and much more. Realistic stone look and feel. 16" x 16" groutable vinyl tile. Softer, warmer and more comfortable than ceramic tile. A vapor barrier is recommended in any installation where you are putting new flooring down over a concrete subfloor. Using the grout gives the product the look of a natural tile/stone flooring. It will look more realistic. Can the tiles be glued to a metal subfloor? They can be glued down to metal subfloor. If the subfloor is very smooth, it may need to be 'scored' in order for adhesive to grip onto the floor. We have installed Resort LVT flooring with grout in our kitchen. What can I safely use to clean it? Is a mixture of vinegar and Dawn dish washing liquid OK to use? You can use vinegar on the floor by preparing the proper ratio. Please also check Shaw's many approved cleaners. HI I was wondering how thick is the luxury resort vinyl tiles? Also, when laying the tiles, is it best to use a pressure sensitive adhesive? what grout do you suggest using? These tiles are 3mm thick, should be installed using a pressure sensitive adhesive, and should be used with Shaw's Array LVT grout.